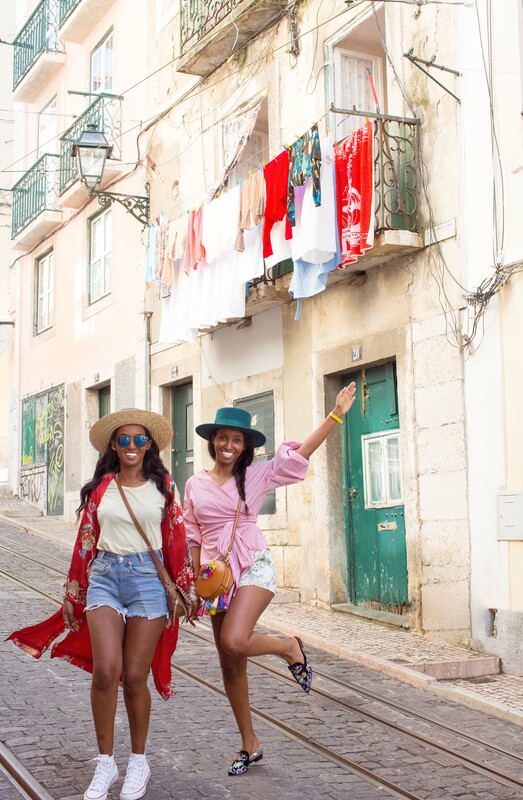 We have been wanting to go to Lisbon for a long time. 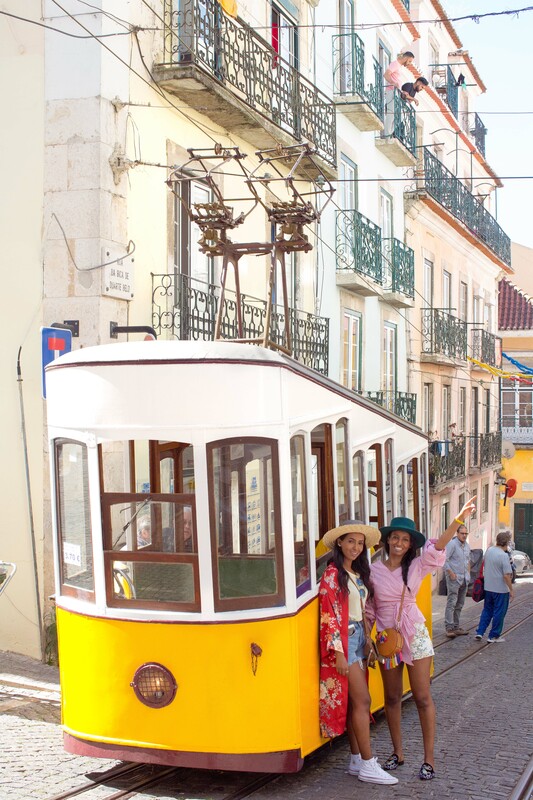 Our brother booked his holiday in Azores, Portugal and thought it would be a bonus to spend time with him in Lisbon after his trips in Azores. 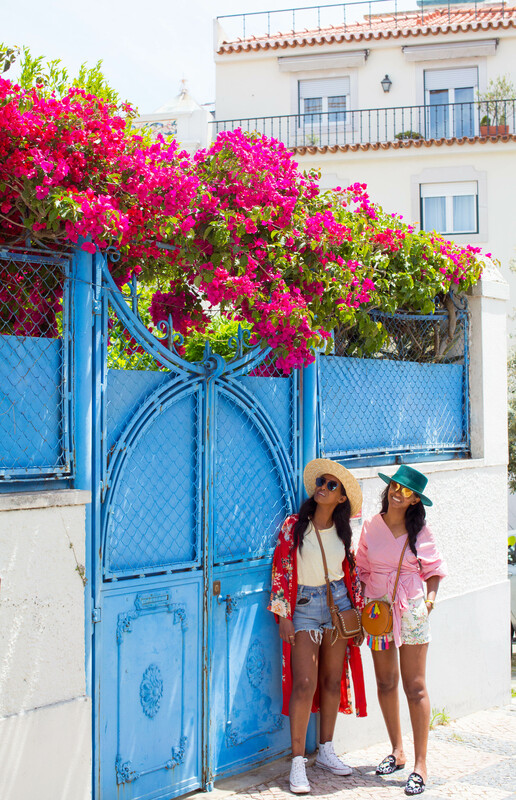 We booked last-minute flight and Airbnb apartments for 5 days. 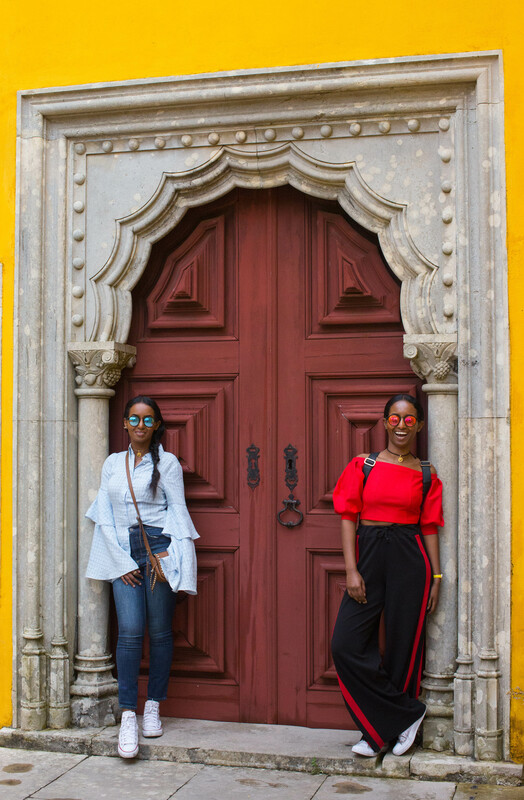 I’m not sure if you remember when we told you that our goal for 2017 is to travel to 12 countries in 12 months? 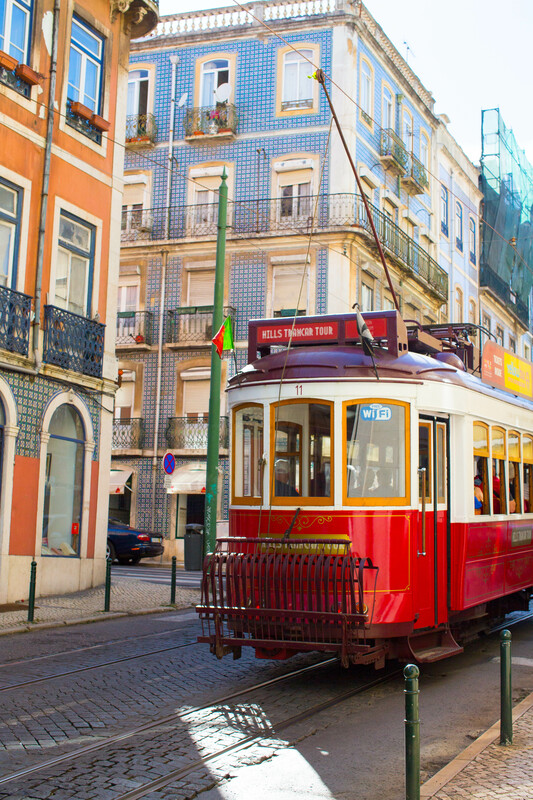 We are delighted that Lisbon is our 2nd of the 12 countries/cities in 12 months, it’s getting excited now! 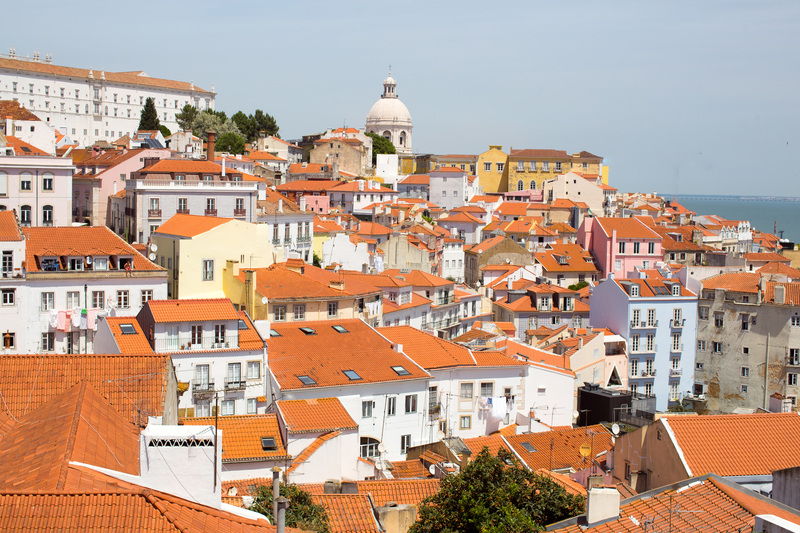 We arrived in Lisbon in a warm weather and felt very welcome. Thankfully the host organised a private taxi for us. If you don’t like wait in the line for a normal taxi at the airport, I’d advise you to book a taxi in advance and if you are a real traveller, take a train or metro. 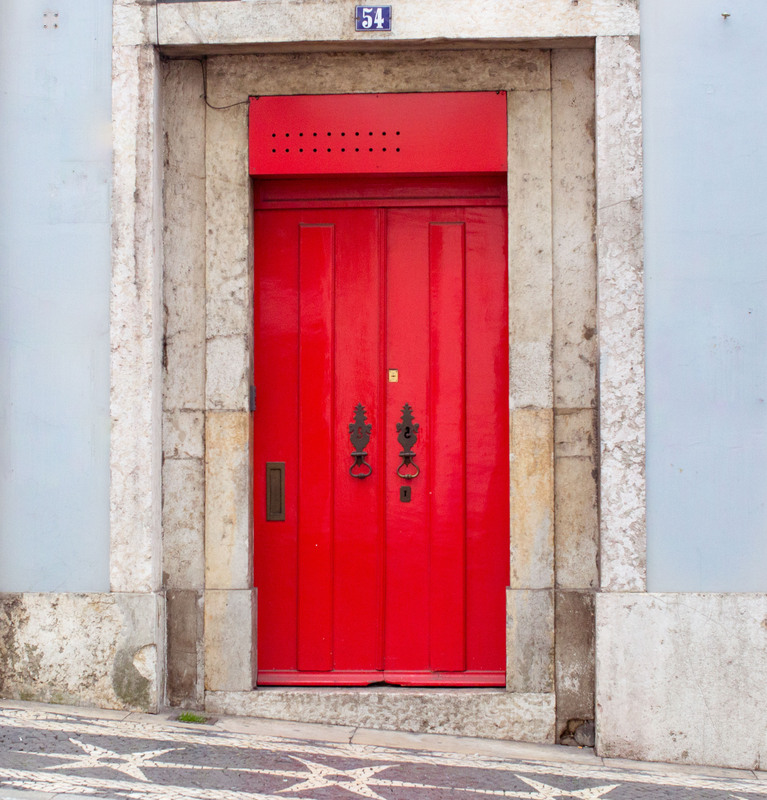 We stayed in the apartment in Barrio Alto, and it was even better than we expected. The location was perfect. The view was unbelievable. There’s something really nice about staying in an apartment when you’re in a charming yet quirky city, you can almost pretend you’re local for 5 days. The balcony is a great bonus for experiencing the buzz of the city whilst being private. 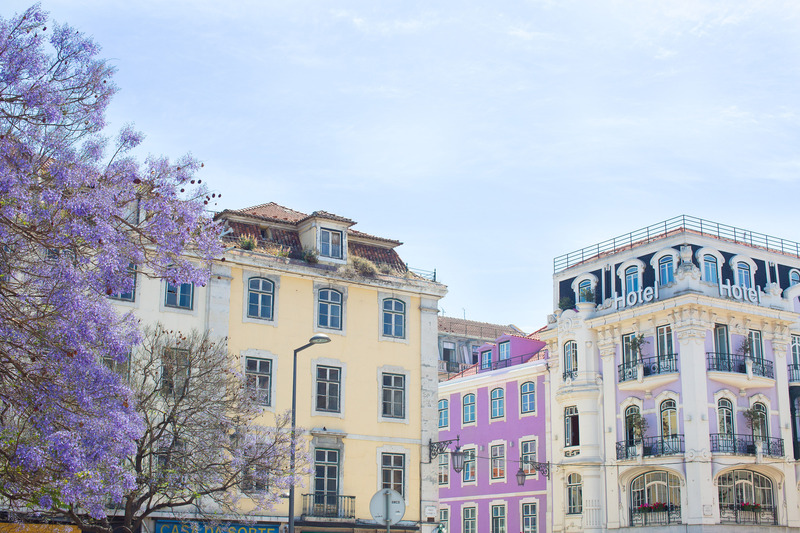 The Bairro Alto/Chiado is one of the most characterful and attractive neighbourhoods in Lisbon. 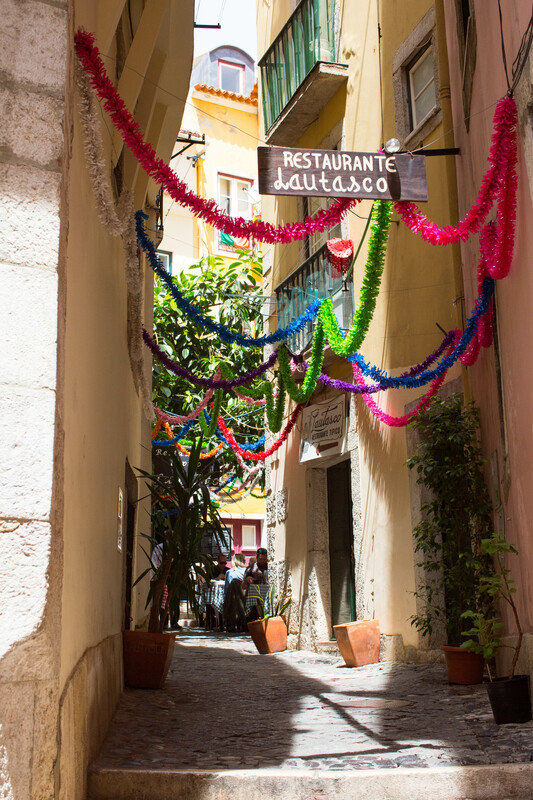 It’s a place where people meet in an eclectic and multicultural atmosphere. At night everything is different, you’ll see people drinking out on the streets and having a good time, we loved every minute of it. 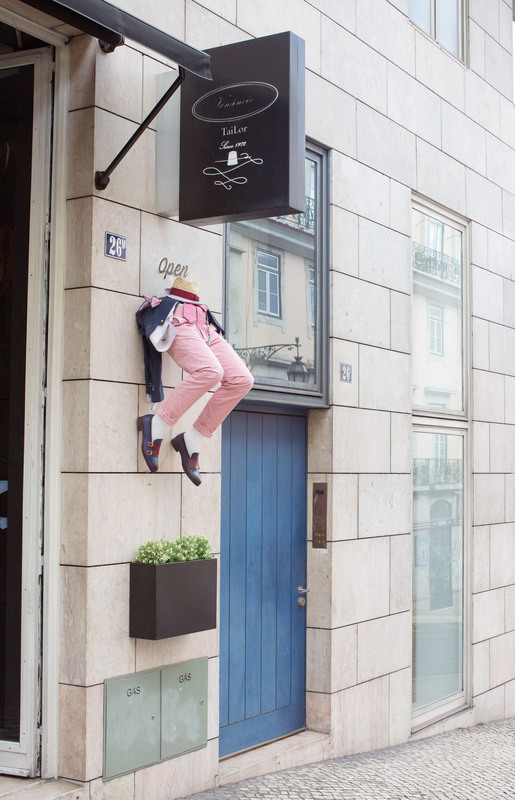 If you need some shopping in Lisbon, this is the place to go. 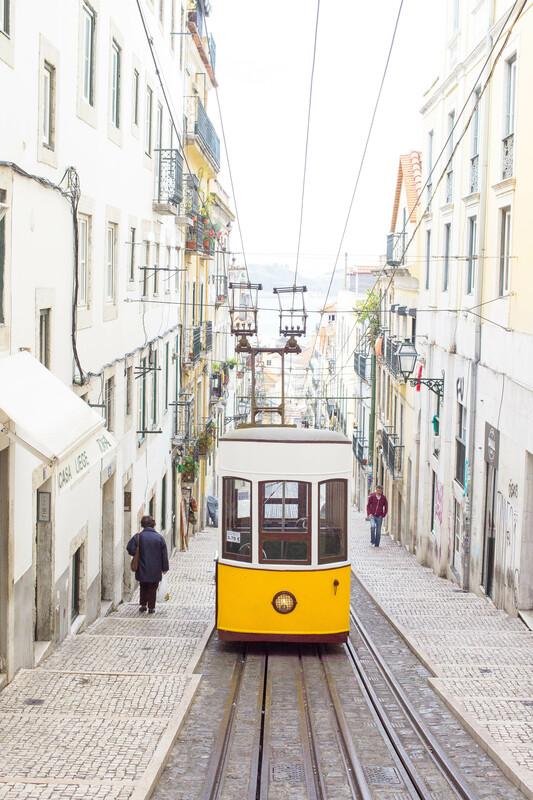 Wandering a city with no plans is always a good idea. 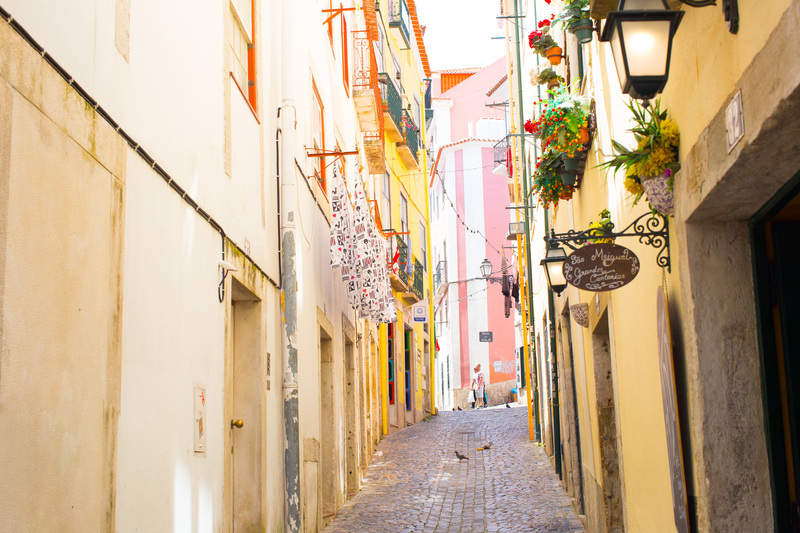 We love wandering through the narrow streets and stunning traditional buildings. 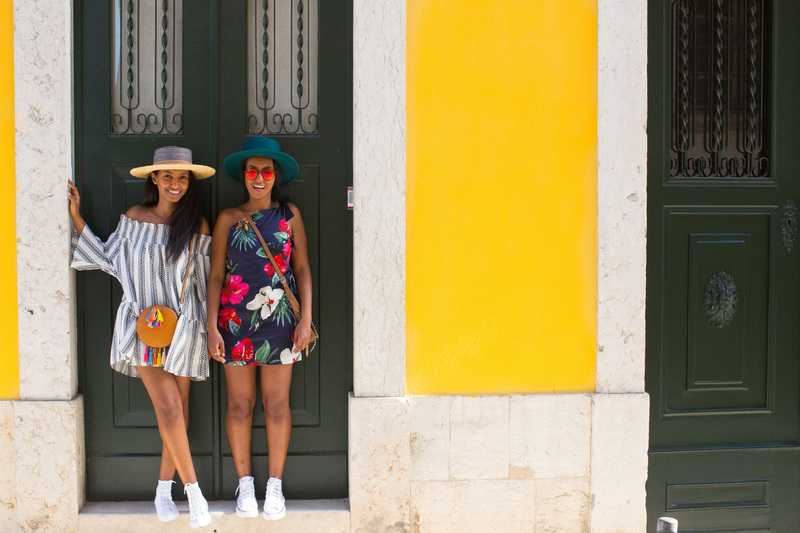 Lisbon is colourful and it just made us fall in love with the city even more. 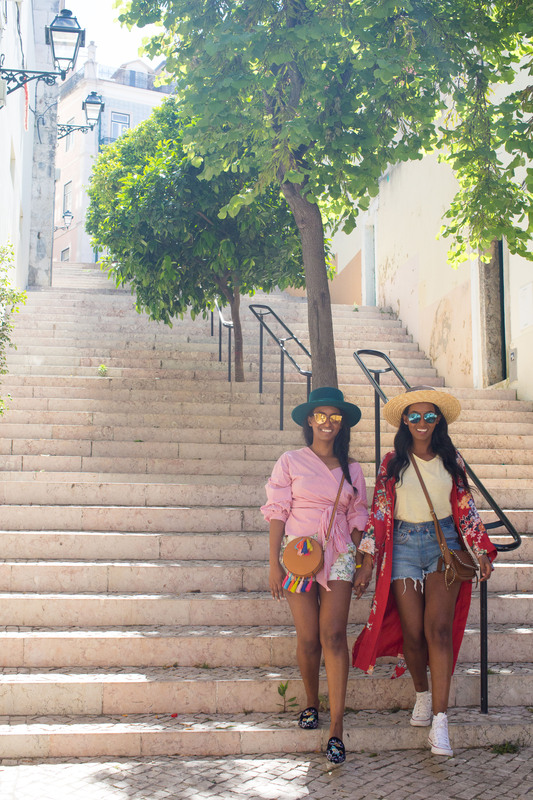 We walked a LOT for the last 5 days, be prepared to walk up and down the hill to explore the city. 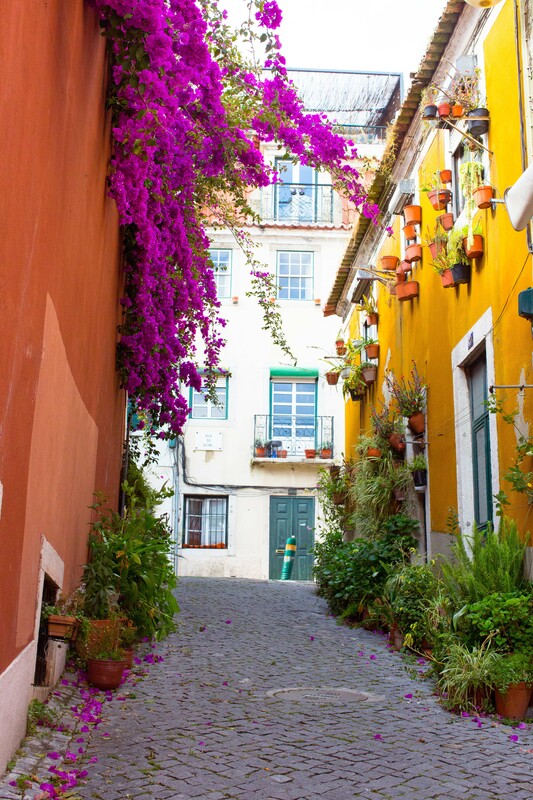 Alfama is our favourite gem where you can feel the old soul of the city. 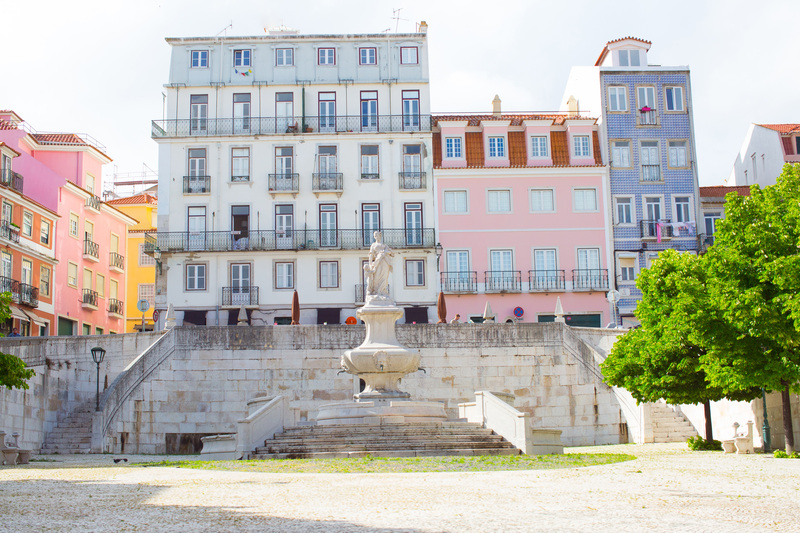 It’s a place to wander and get lost in the maze of the streets to find the real beauty of Lisbon. 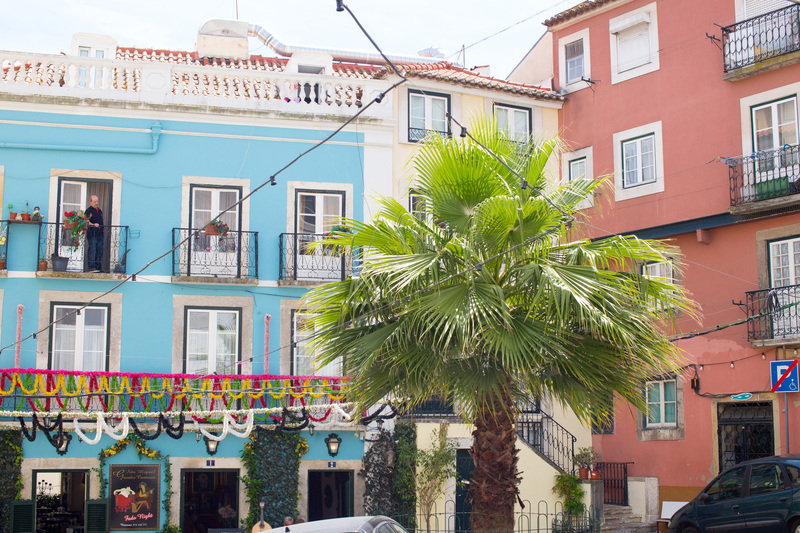 We stopped by at Ai Maria where you can drink the cherry liquor. Ginjinha in a little cup made of chocolate and it was delicious. 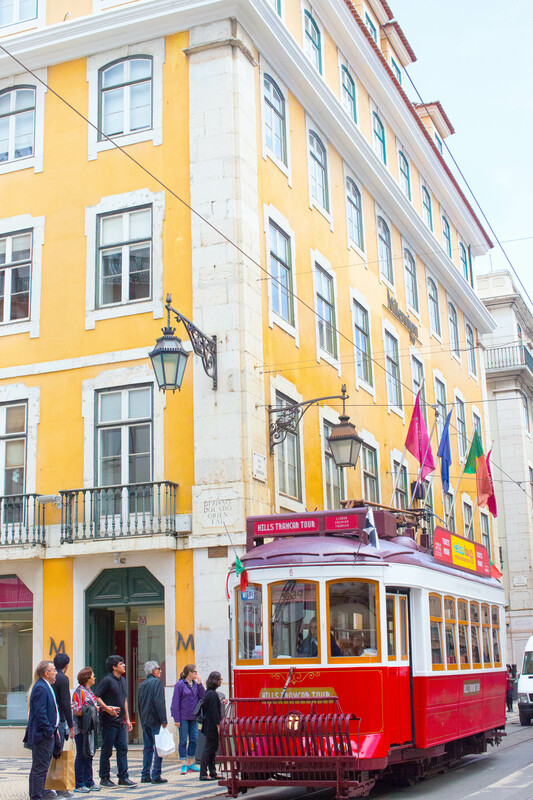 If you are in Lisbon, you must try! 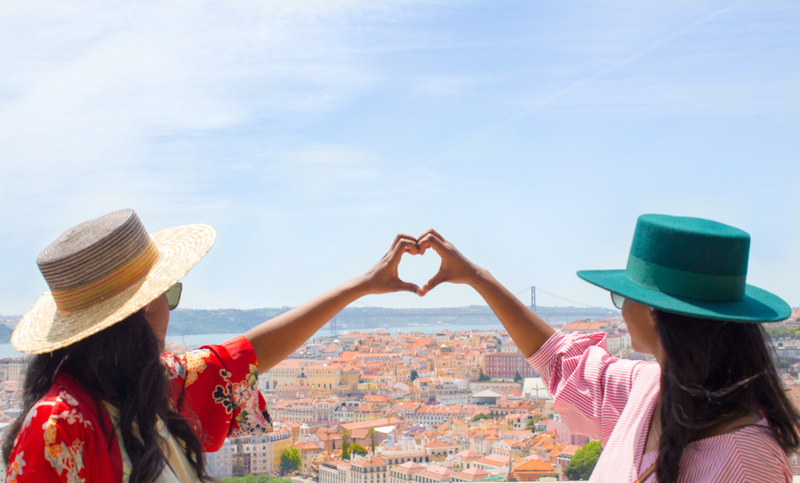 The view was breathtaking at Miradouro das Portas do Sol. LX Factory is a hidden gem where no one goes. 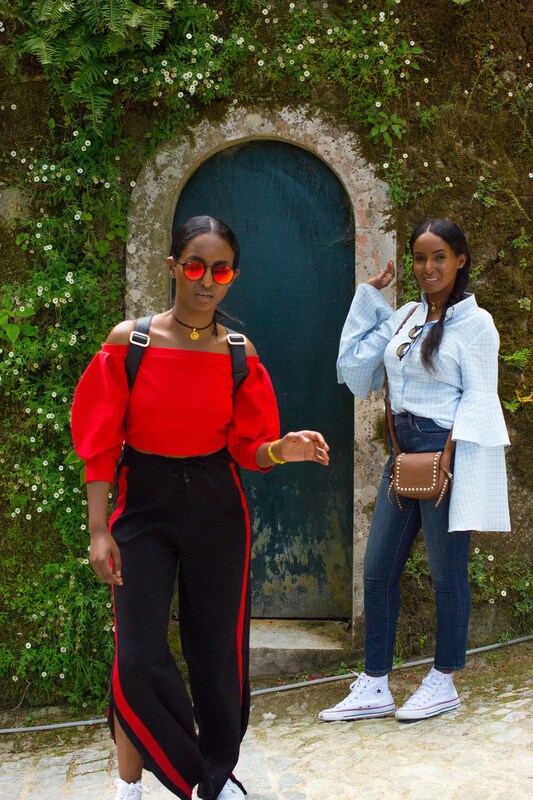 It seems that people go there to enjoy an awesome vibes of this creative spot. 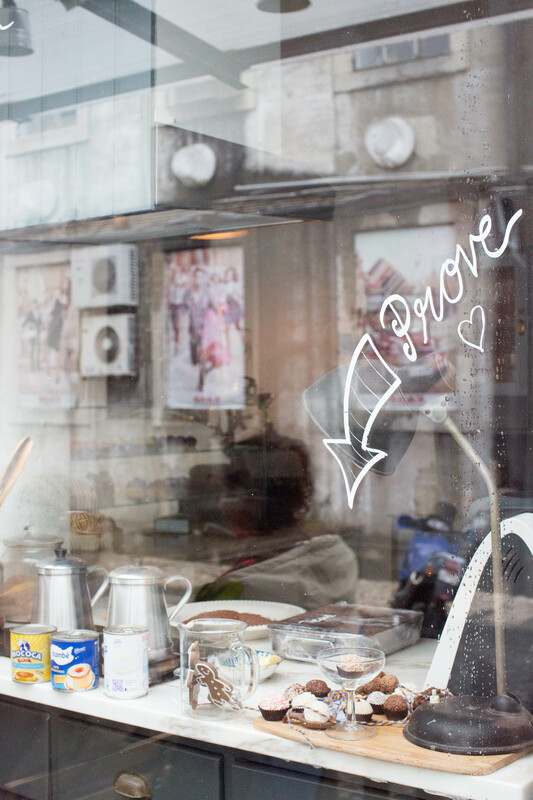 There’s also lots of independent shops, bars and restaurants all with their own character. Oh! 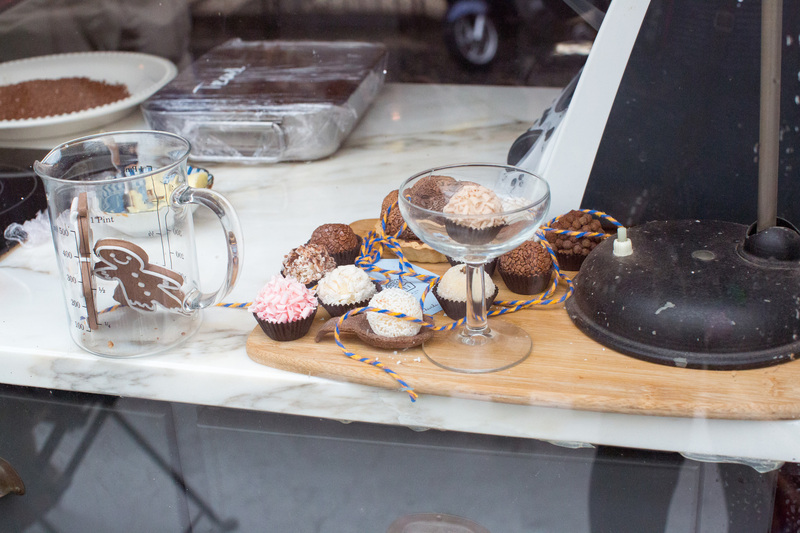 Brigadeiro is a charming little café and they are Brazilian sweet, made from condensed milk and chocolate, very popular in Portugal. Timeout Market, Mercado da Ribeira. 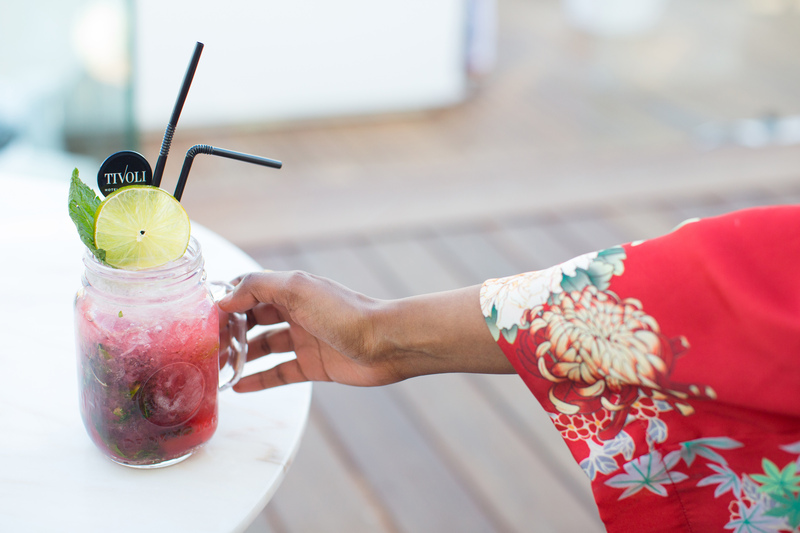 If you love food and drink this is a must whilst in Lisbon. 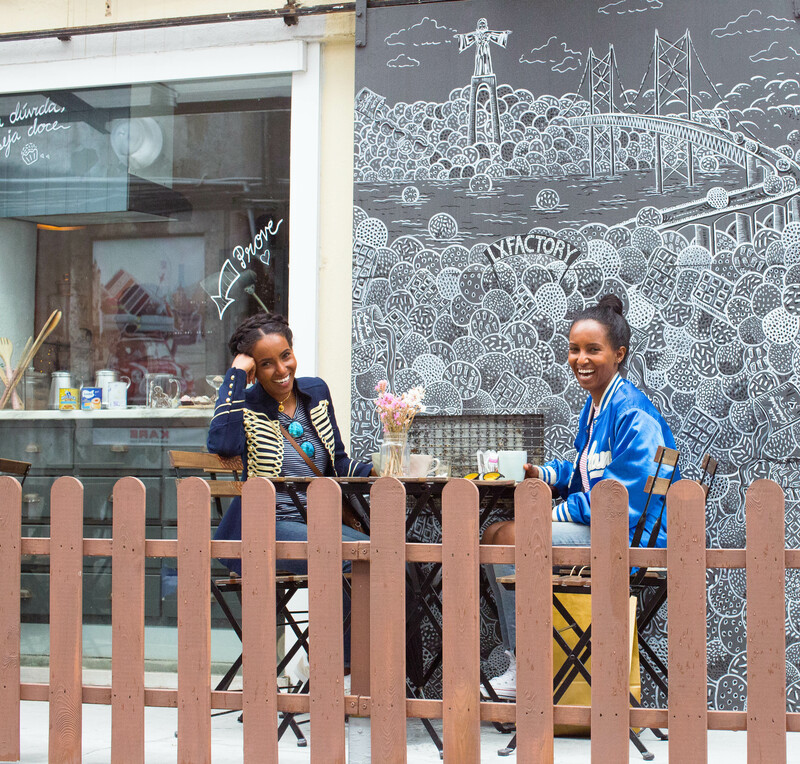 The whole concept of the market is brilliant, it is a vibrant and fun place to eat. We were amazed when we arrived, all the food you can eat from the best independent food brands, which by far is always the best to try out. We went insane and couldn’t decide but ended up going for Marlene Vieira which is a popular food with octopus, spinach and potato gratin. Heaven foods and the environment were so lively. You can’t go wrong! The most popular of these little treats is a must, the pasteis de nata after our dinner. We have never been an egg tart fan, but after having one at Manteigaria, we understand why people love this pastry, but for Heroda the flavour was too rich but overall it was delicious. It’s also awesome that you can eat while you watching them baking. 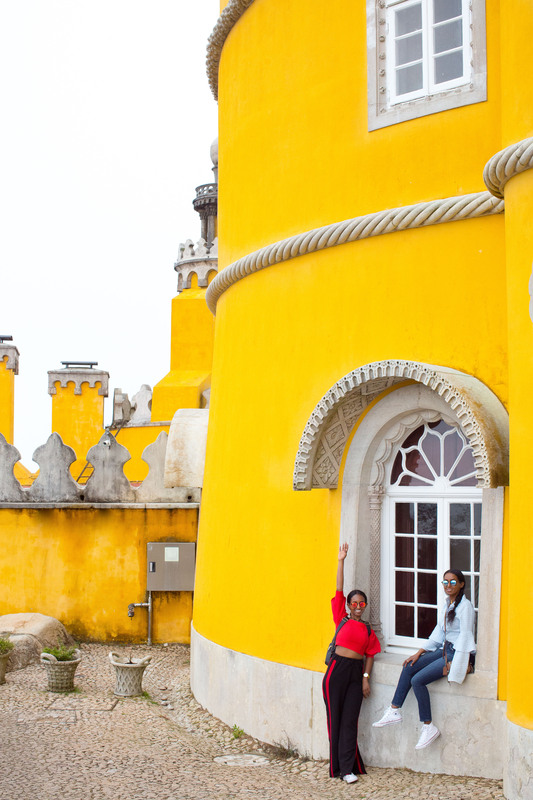 When you visit Lisbon, you have to spend a day to explore Sintra. It’s a real gem where fairytale comes to life! There are so many historical treasures that are worth to see. 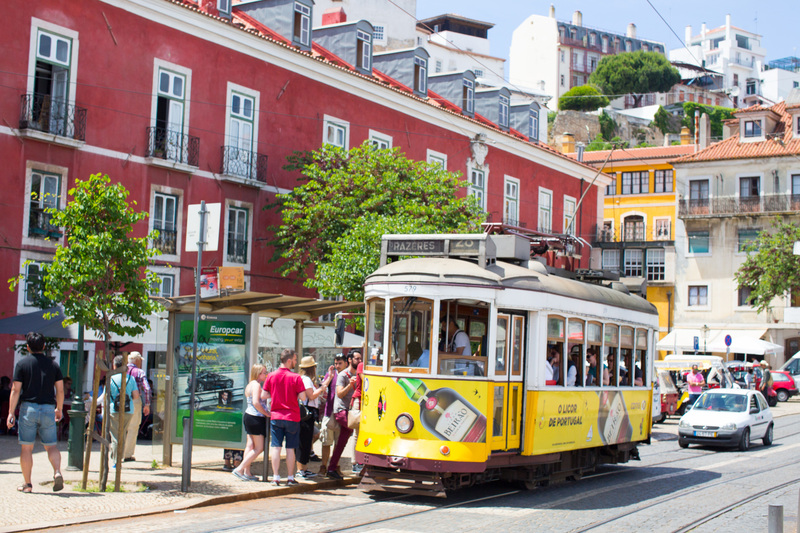 From Lisbon, it is easy to get to Sintra on a direct train from Rossio Station. It takes about 40 minutes and you can get tickets face to face or self-service machine. 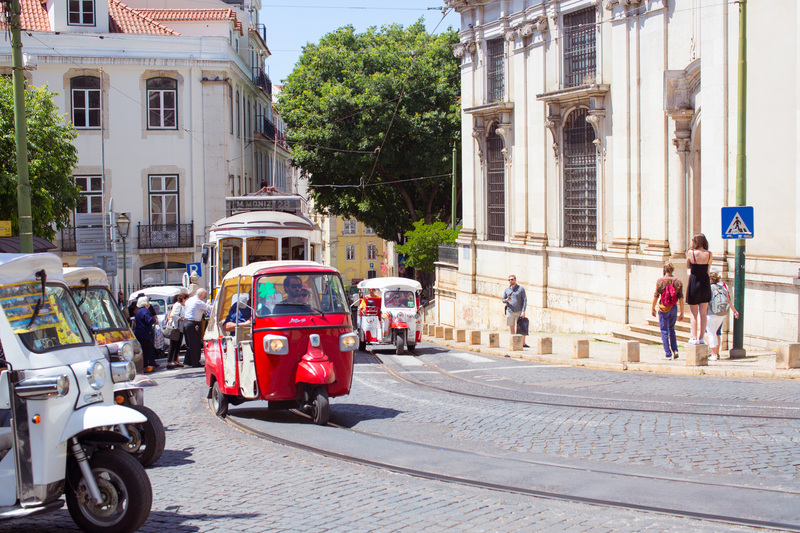 When you arrive, you will need transport between the palace and there are lots of options to choose but we decided to get on the private hop on hop off tour called Sympathy Paradise Tour. 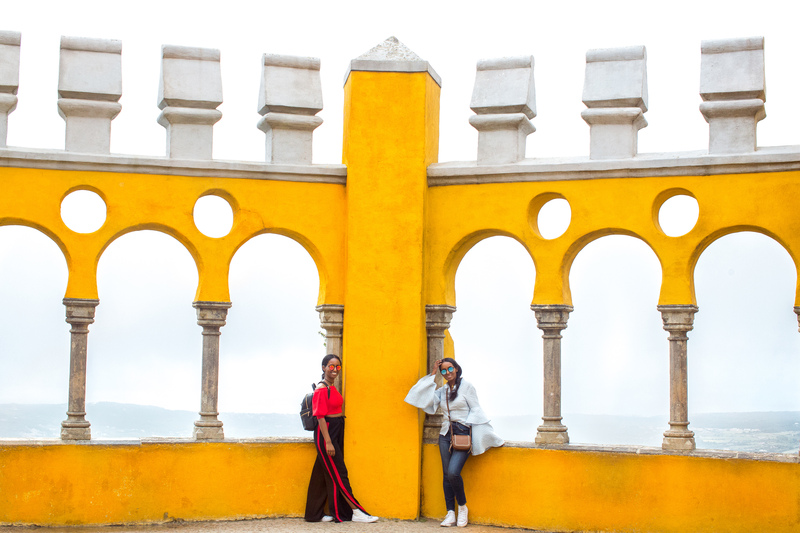 We spent the whole day in Sintra and managed to see three of the most famous fairytale spots which are Pena, Castle of Moor and Quinta da Reganleria Castles. The guide was warm and open-minded, he showed us around and dropped us off where there are special things to see, and a lovely local restaurant, good and cheap! 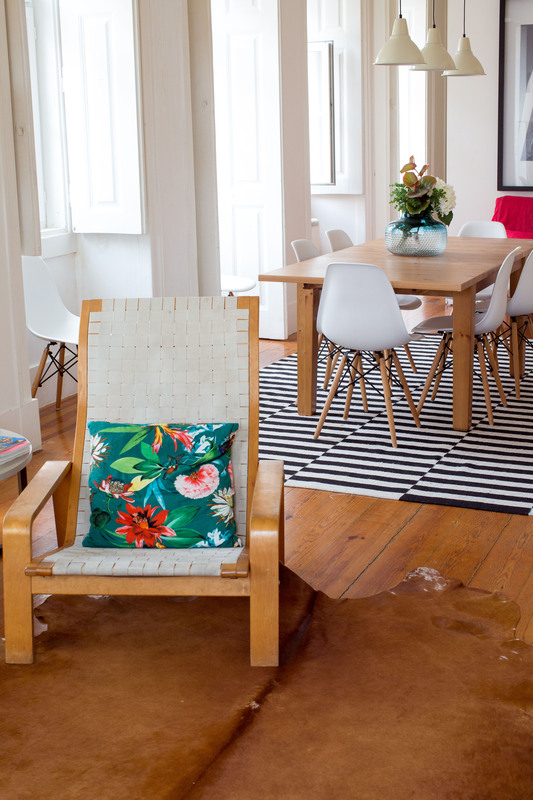 A rich land owner employs an amazing young architect and this is what they create. Simply superb. It’s a maze of paths, tunnels, secret passages and mysterious things underground. 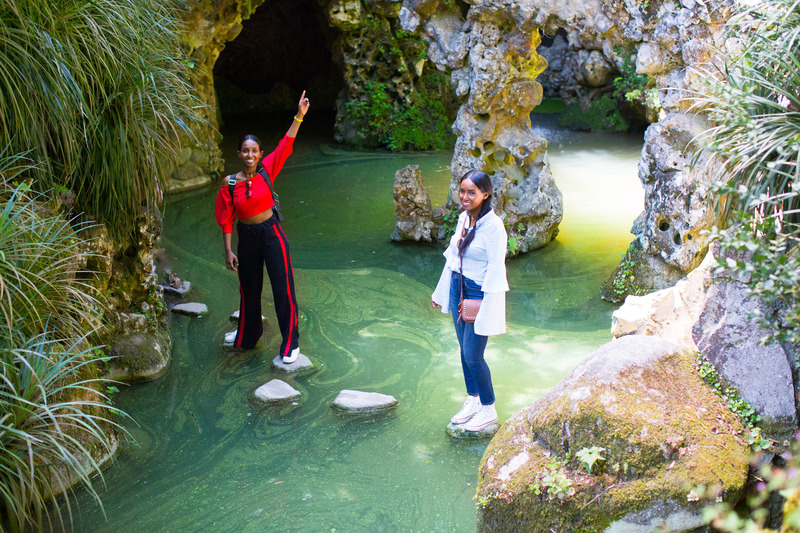 We spent hours wandering around or running through caves and up hills like kids. It was such a fun time and so beautiful. 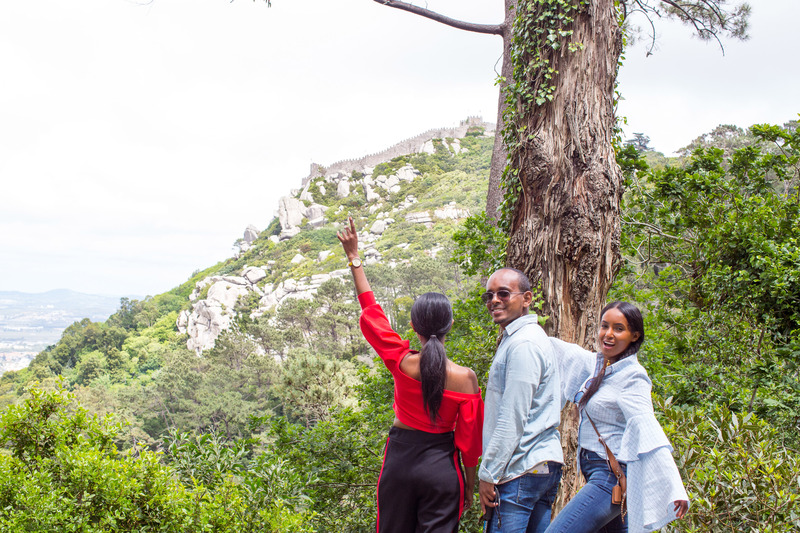 This castle was built during the eighth and ninth centuries, on top of the mountains, so it offers a panoramic view of the town. Inside the walls of the castle is a chapel, which was built much later, in the 12th – century. Walked the length of the entire grounds and it was absolutely beautiful. The views of the castle as well as from the castle are worth taking all those stairs and hills in a short of time because it was raining heavily and foggy, we didn’t even take photos. We were hoping to visit Pena when the rain stops and WE DID! 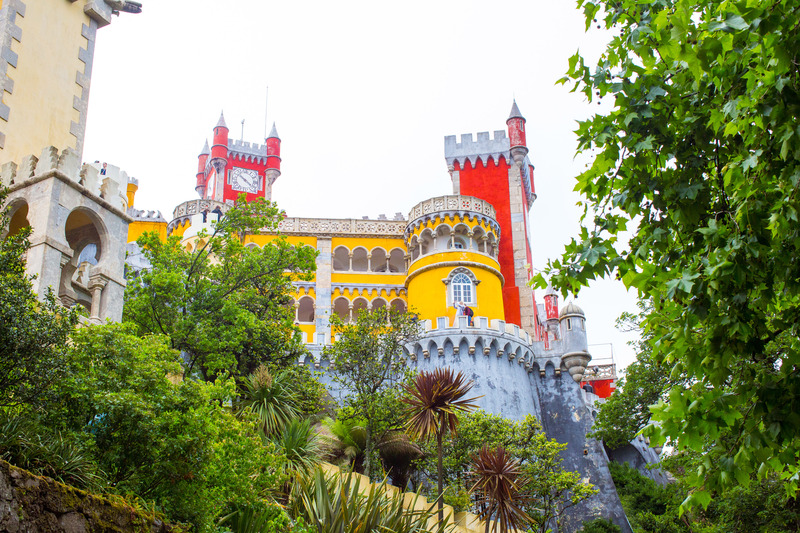 The Pena National Palace is a classic example of 19th-century Romantic architecture. 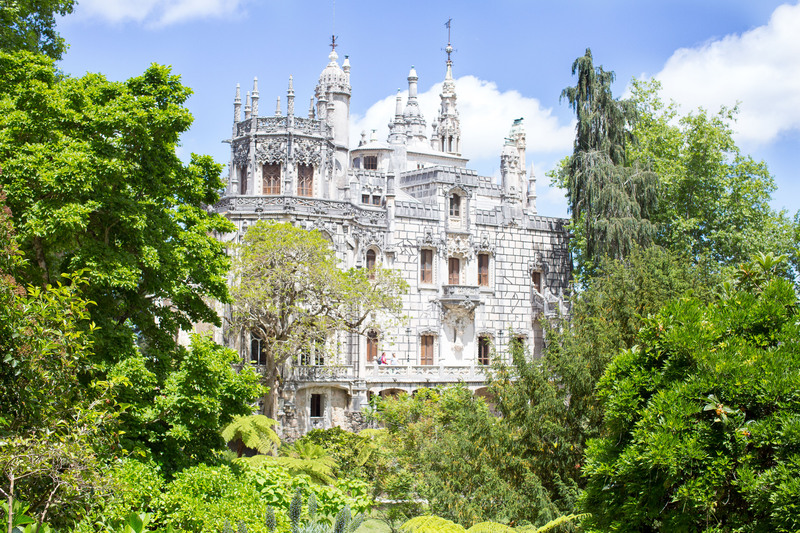 It was constructed by King Ferdinand and Queen Maria II as a vacation home. 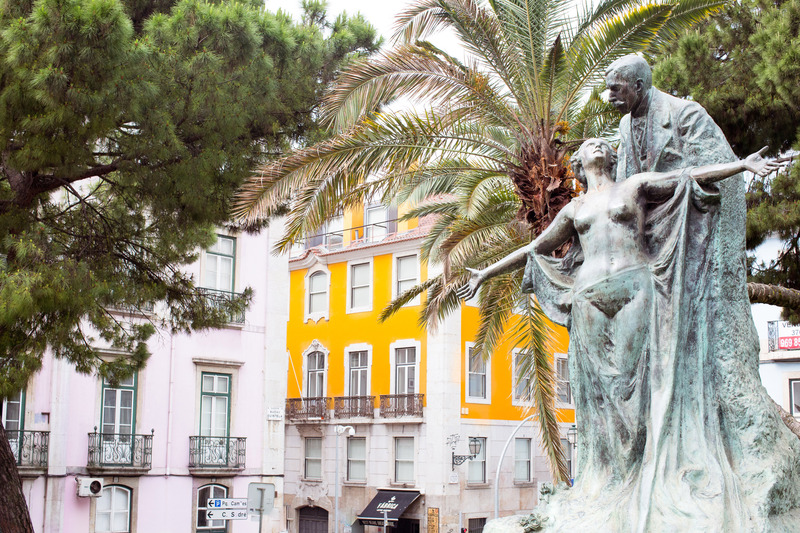 The opulence of the place may have something to do with why the royal family was exiled in 1910 and Portugal became a republic. Since then it’s existed primarily as a tourist attraction. We were so glad when the rain stops and it was cloudy, which mean less tourist. It’s a wonderful palace to visit. 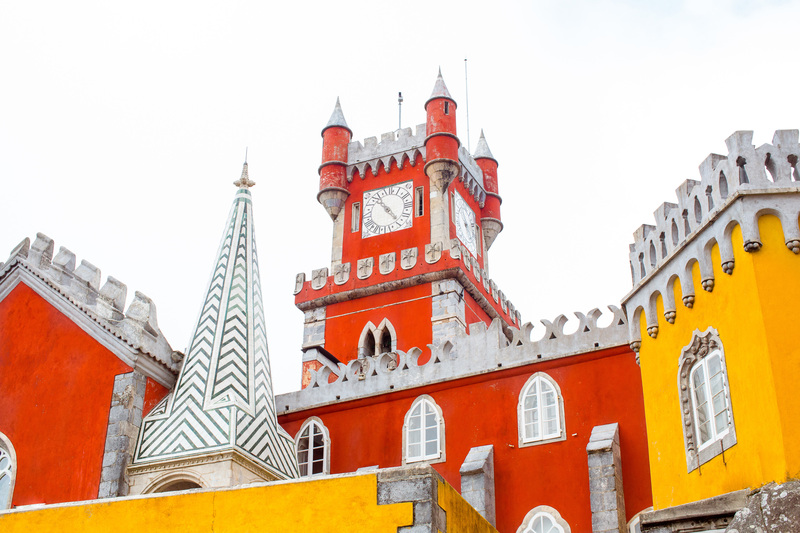 Very fairy tale like, we felt like a princess exploring the quirky and colourful palace. Beautiful surroundings and views. 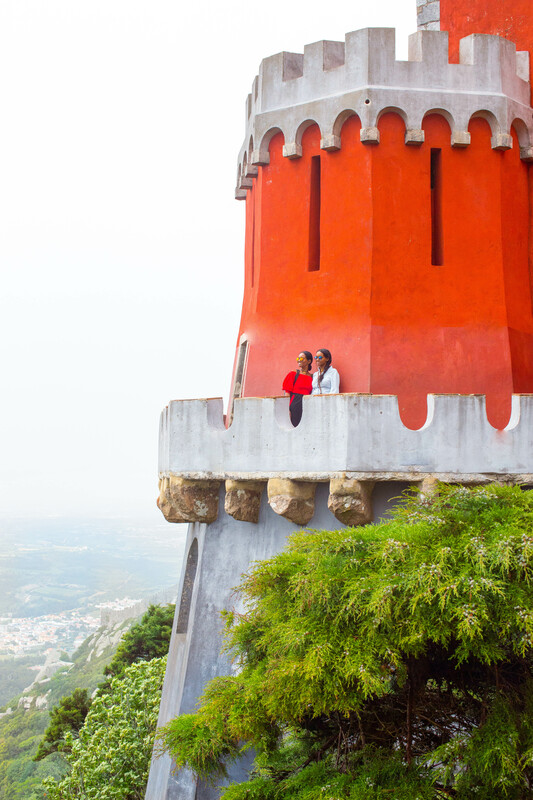 You understand why Sintra is called a fairy tale town. 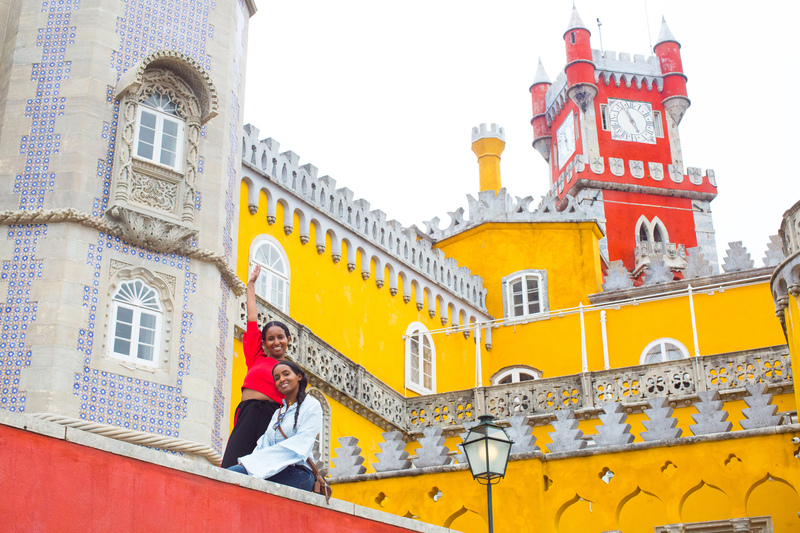 This may sound cheesy, but the palace kind of gives us a Disney feeling because it is so charming, colourful and romantic. It’s everyone’s dream of castle. 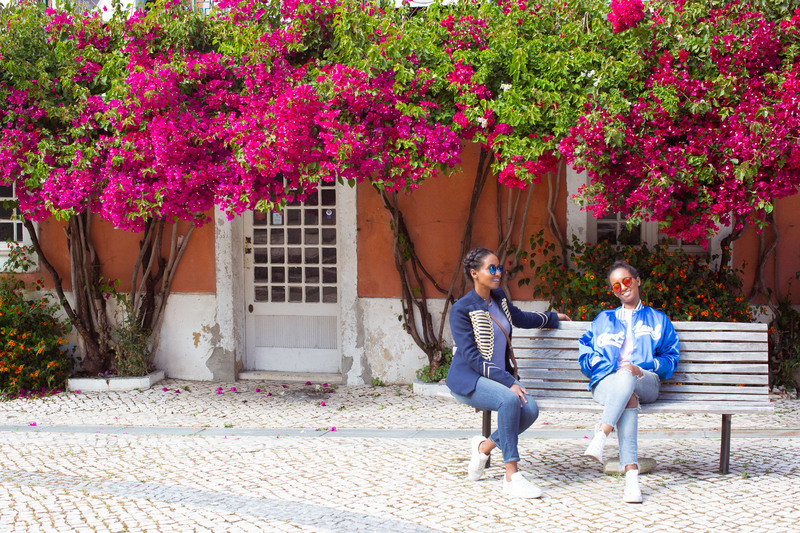 That’s a wrap for Portugal, we will be back! 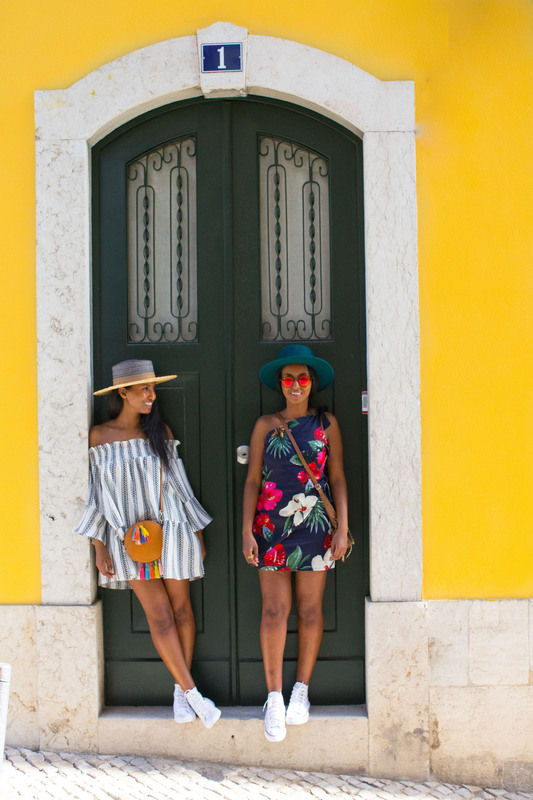 Definitely makes me want to visit Lisbon! 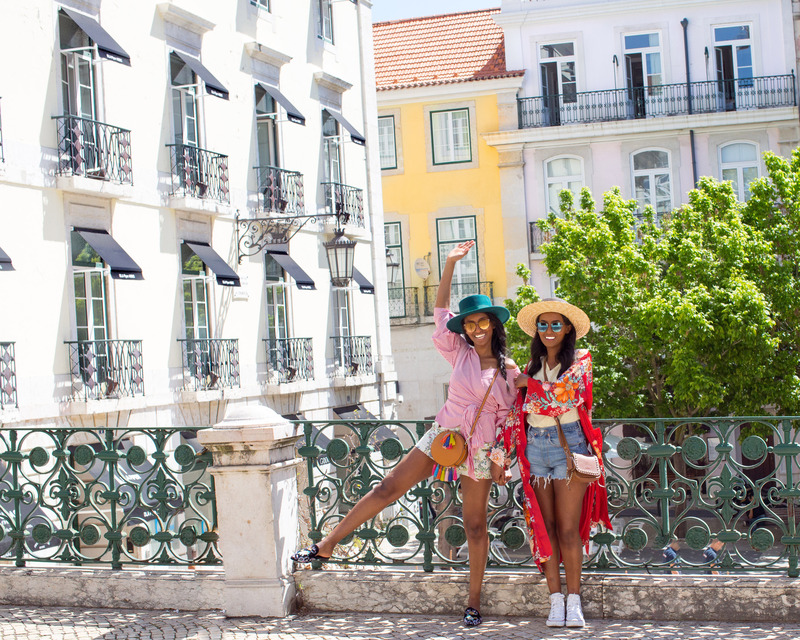 Beautiful pictures ladies & awesome write-up!